Don’t skimp on the wood finish for your log home. Some of your investments—your vehicle and your log home included—are exposed to the weather constantly. You expect them to protect you as you go about your daily life in blazing sun, driving rain and snow; and they will—if their initial protective finish is top quality and you take care of basic maintenance. You wouldn’t drive a car without a premium quality paint job because you know the metal wouldn’t last without protection from the elements. The natural beauty of your log home deserves the same attention. Log home stains and finishes have evolved tremendously in recent years. The products available now deliver incredible color variations and wood protection with less upkeep than ever before. The improved color palette offered today takes a log home’s natural appeal to a whole new level. Whether you’re making a bold statement in your neighborhood, considering resale value, or simply finding the perfect color of exterior or interior stain for your personal taste, explore the options available from fine quality log finish brands like Sansin. At North American Log Crafters we recommend Sansin. * The log finish professionals we work with and log restoration specialists that we know of can’t speak highly enough of this superior wood finish in terms of its attractive stain colour options or its hard working exterior and interior finish products. We use it on the log and timber work in our own homes. Not only does a log home require protection from sun and rain, but the sheer size of the wood demands a coating that “breathes” freely to prevent moisture from getting trapped and rotting the log from within. Sansin’s penetrating Enviro Stains are specially designed to protect the natural beauty of your log home. Because they use water to carry modified natural oils deep into the logs, the Sansin Classic system and SDF can be applied even to wood with a high moisture content – particularly useful for log homes where moisture levels of 25% or more are common. By comparison, most water- and solvent-based coatings can only be applied to surfaces with moisture content conditions of 18% or less and once applied, are more likely to trap moisture deep within the logs. As a trusted log home building company, we are dedicated to building a superior, long lasting log home that will last generations. There is nothing more disheartening than being consulted on damage that could have been easily avoided with simple prevention. If you have more questions about log home care and maintenance while you’re planning the log cabin home of your dreams, go ahead and call us at 1-877-955-2485. 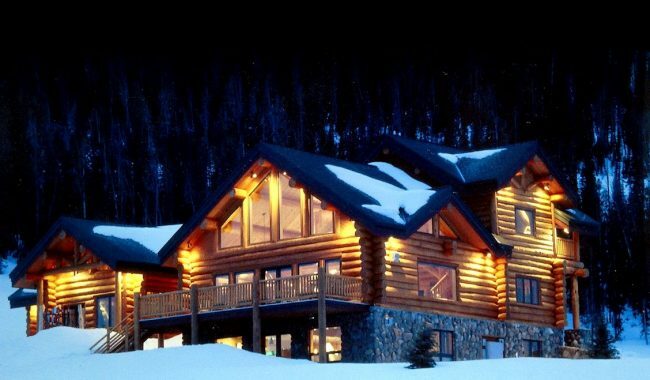 We’re happy to answer all your questions about building and owning a log home!